Nintendo just emailed us the following announcement of the redesign of the Nintendo DS (dual screen) handheld. 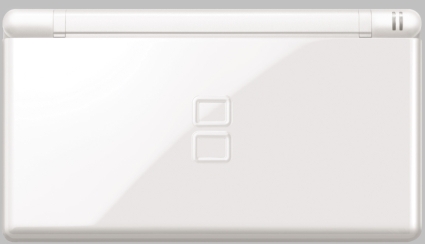 "Nintendo President Satoru Iwata today announced Nintendo DS Lite, a slimmer version of the best-selling Nintendo DS™. 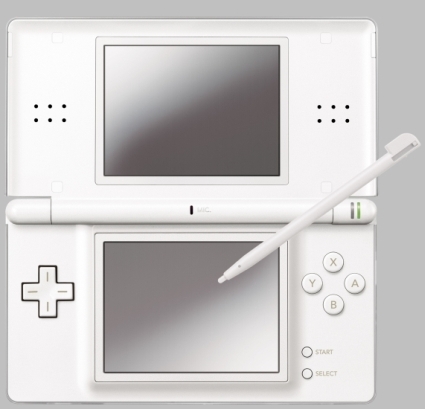 Also featuring brighter screens, Nintendo DS Lite will launch in Japan in March. Nintendo DS Lite will be less than two-thirds the size of the original Nintendo DS and more than 20 percent lighter. Nintendo DS has enjoyed extremely strong sales in Japan and around the world, selling more than 14.4 million units worldwide. The Japanese sell-through of the existing Nintendo DS hardware exceeded 5 million within 13 months, which made Nintendo DS the fastest-selling video game system there. Nintendo will announce more information about the availability of Nintendo DS Lite in North America and other territories in the future." Additional details can be found on Nintendo's Japanese site.